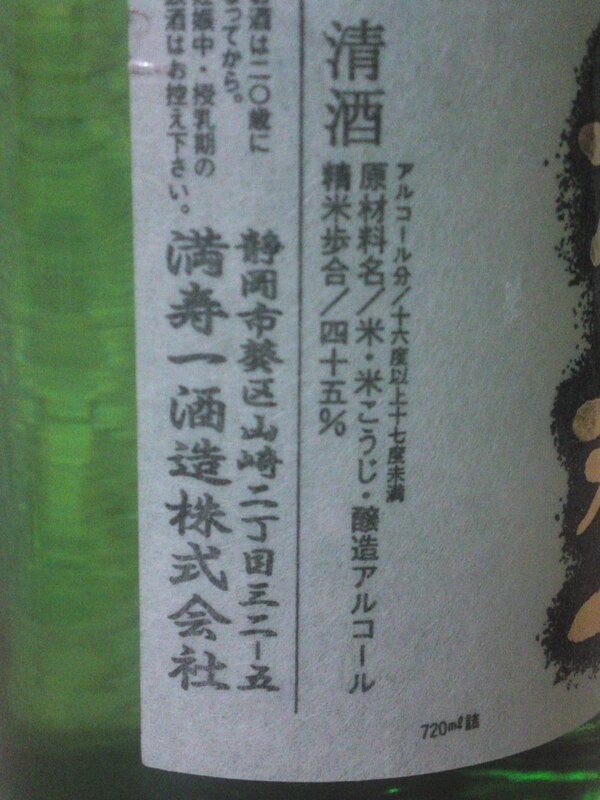 Masu Ichi Brewery has not been making sake for the past year and will not ever as his owner/masterbrewer Denjirou Masui/増井伝次郎 just passed away at the age of 49 leaving no successor willing to take over the brewery founded in 1882. Denjirou was his brewer’s name given by his mentor Denbei kawamura, the godfather of Shizuoka Sake and the creator of the Shizuoka sake yeast. 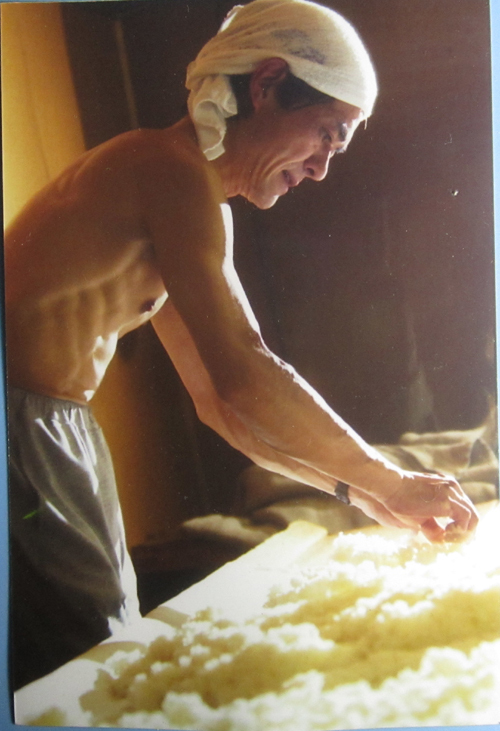 He was one of the only three brewers of the Shida School. 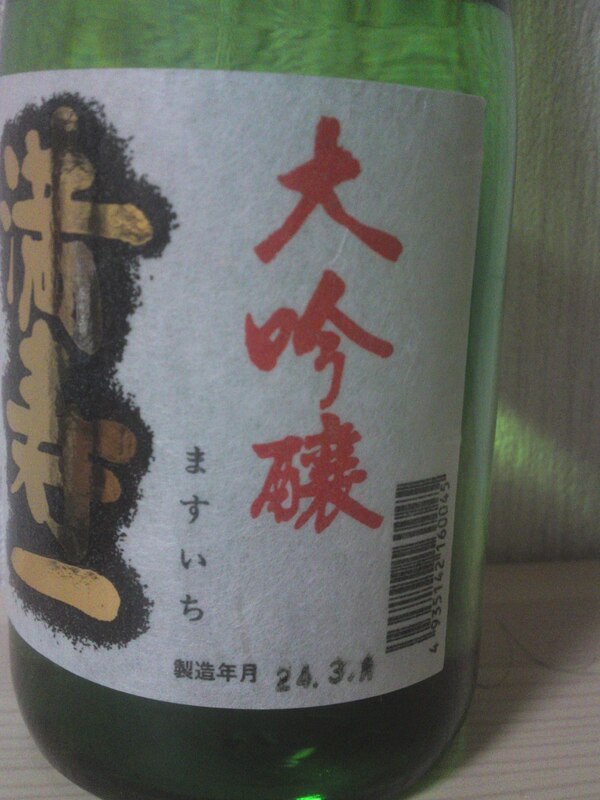 His sake is fast disappearing and this particular one is the first of a series of “last bottles” I’m scouring the Prefecture to get my hands on for posterity! 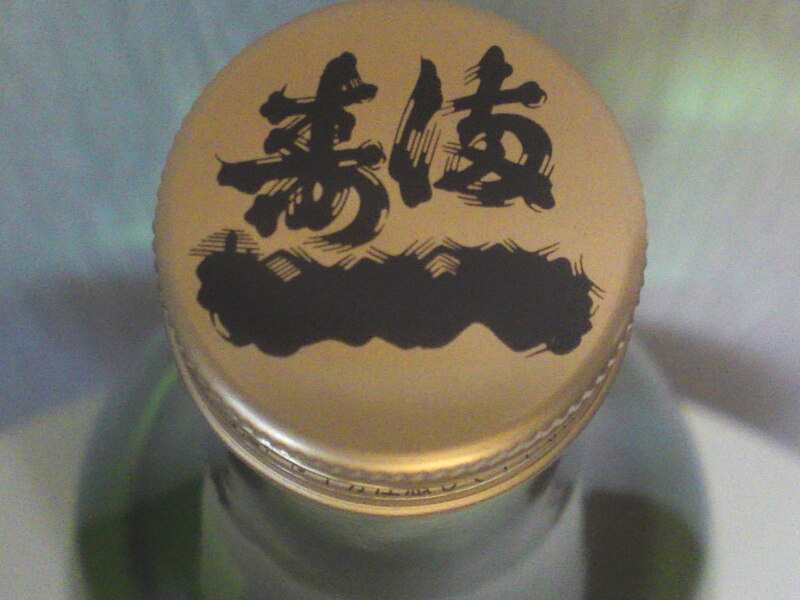 This is a Dai ginjyo, meaning the top premium variety blended with pure rice alcohol! Aroma: Light, elegant and fruity. Melon, pineapple, banana. Very elegant in spite of its dryness. Oranges asserting themselves with the second sip. Varies little with food with a drier note. Best appreciated on its own, as food tends to interfere with it more than marrying with it. Nevertheless would make for an extravagant aperitif and would enhance the taste of light vegetables such as white asparaguses! Obviously a sake conceived for tasting! 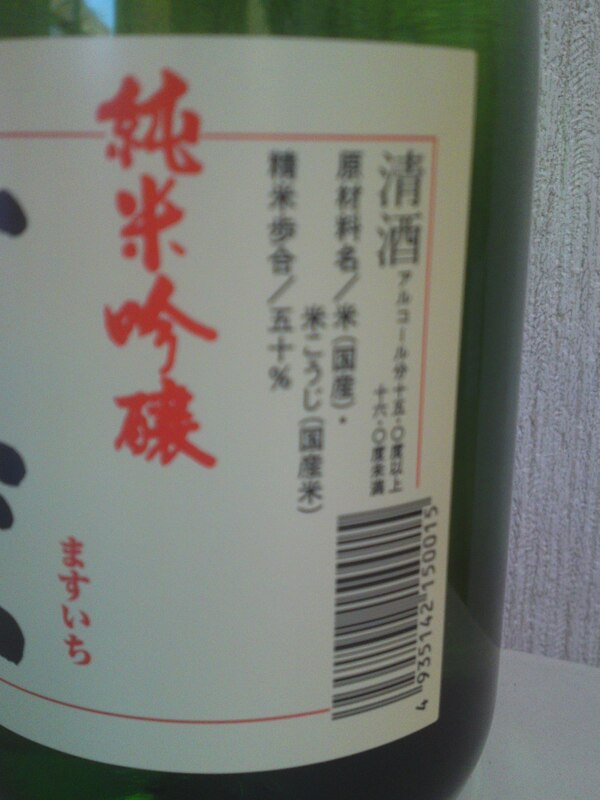 It is a junmai ginjyo, meaning no alcohol was blended in and that is a premium sake of ginjyo level! Aroma: Assertive and fruity. Complex. 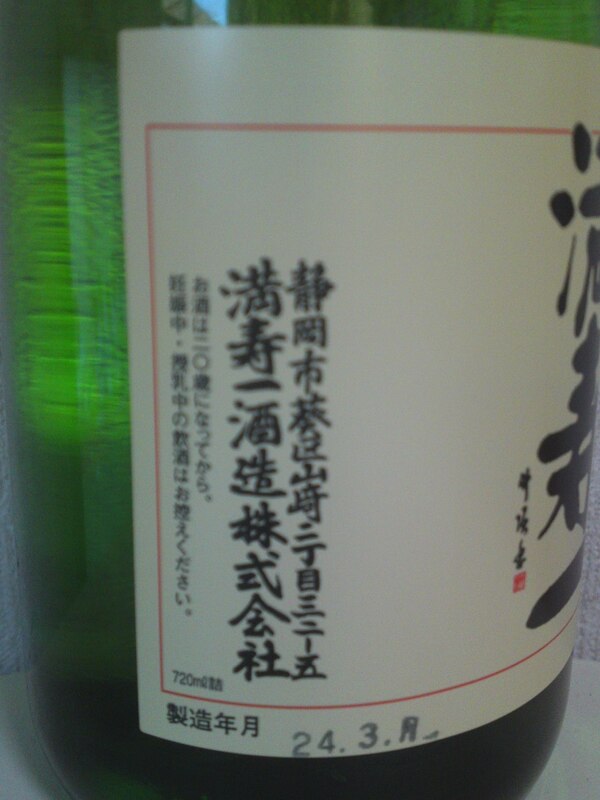 Taste: Very deep attack backed with junmai petillant. Fruity. Complex. Almonds, melon and faint oranges. Disappears on a dry coffee beans note. Varies little with food with a strong accent on oranges and dry almonds. Coffee beans and dark chocolate make a strong comeback once away from food. 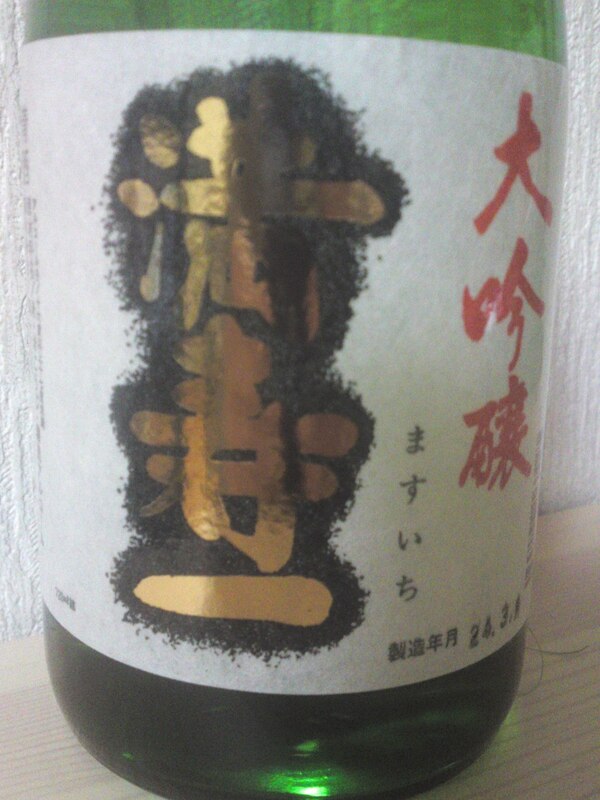 Overall: A very dry but elegant sake! Very enjoyable on its own but particularly pleasant with vegetables. Actually happily marries with any food, be it Japanese or Western gastronomy. Would also make for a great aperitif, although its dryness would be the perfect match for chocolate!